This Sunday (2nd September) thousands of people took to the streets for one of Wales’ most iconic racing events, the Nation Radio Cardiff 10K hosted by Kidney Wales. Over 8,000 people participated in the run which was the city’s flattest 10K to date, with many participants recording personal best times. The race was won by Dewi Griffiths from Swansea Harriers who crossed the finish line in 29 minutes, 11 seconds. Nation Radio hosted activities at the runners’ village, including family friendly entertainment and street food where everyone could take part in the festivities, whether they had run or not. 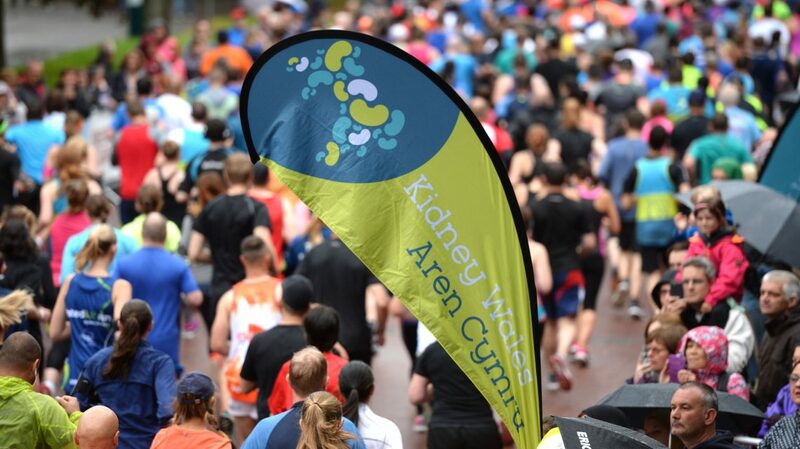 Assembly Member and Minister for Culture, Sport and Tourism, Lord Dafydd Elis-Thomas also joined the event, supporting the thousands of people who came together to run for local Welsh charities of their choice, including Kidney Wales. Professor Roy J Thomas, CEO of Kidney Wales, said: “It was wonderful to see so many young people and families enjoy the 2K Family Fun Run. We wanted to make this year’s race a true day-out for families, filled with entertainment. Sponsors of the event included Nation Radio, Cardiff Council, Sport Cardiff, Cardiff Met University, Brecon Carreg, Eurobond, Run & Become, James and Jenkins, and AR Digital. The day’s festivities got up and running at 9.15 am when more than 1000 people of all abilities and ages took on the 2K Family Fun Run with sponsored t-shirts from Cardiff Metropolitan University. Then shortly before the 10K, runners were invited to warm up with Pure Gym to ensure that everyone was raring to go before heading for the starting line. The 10K race course itself was opened by retired Welsh sprinter Christian Malcolm. Many of this year’s entrants had a personal connection to the Kidney Wales cause, whether they were running for a family member or friend, had donated a kidney or were given a kidney themselves – everyone came together to unite for the Kidney Wales cause. Amongst the runners was 31-year-old Jade Batstone from Newport. Jade, who ran for Kidney Wales in support of her colleague Dan finished the race within 59 minutes. She said: “I’m really pleased with my time, as well as the amount I raised with my colleagues from DAC Beachcroft. Although this is something that I’ve never done before, I really wanted to take part because our fundraising efforts will help people affected by kidney failure like our colleague Dan. Thanks to runners like Jade, thousands of pounds were raised for Kidney Wales, which will support core activities for the charity, such as investing in new services, facilities and equipment, as well as the charity’s Can Do Project, a scheme that supports young adults living with kidney disease in Wales. The increasing popularity of Nation Radio Cardiff’s 10K race has not gone unnoticed. Last month the 10K race was nominated for the 2018 Running Awards 10K of the Year whilst the 2K Family Fun Run has been nominated for the Charity (Small) award.